Stanley Browne was recruited by the Baptist Missionary Society to work as a medical missionary in what was then the Belgian Congo. With Drs Clement Chesterman and Raymond Holmes, he travelled to the Yakusu missionary station, which oversaw health care for a 10,000 square mile area. Browne would work there until 1958. He was reportedly called ‘Bonganga’, or White Doctor, by the locals. Browne’s interest in leprosy began in 1939, when his disease surveys revealed very high rates of leprosy in some areas near Yakusu. 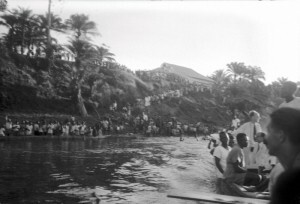 Circa 1940, a leprosarium was opened at Yalisombo, near Yakusu. 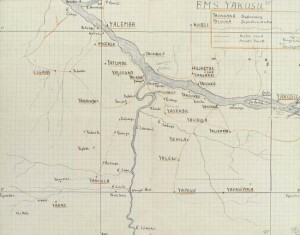 In 1943, 353 people were being treated for leprosy at the settlement, and government support of Yalisombo was discussed. Early treatment was by chaulmoogra oil, and results were poor. In 1950, the American Leprosy Mission supplied Browne with a consignment of the new drug diasone, which was more successful. Browne’s success at Yalisombo became internationally known, and the eminent leprologist Robert Cochrane, while visiting the Congo, encouraged Browne to leave behind his interest in general tropical medicine and focus entirely on leprosy studies. Browne resigned from the Baptist Missionary Society while on leave in London in 1958. He was then invited by the Nigerian government to succeed Frank Davey as senior leprologist of the Leprosy Research Unit at Uzuakoli in Eastern Nigeria.